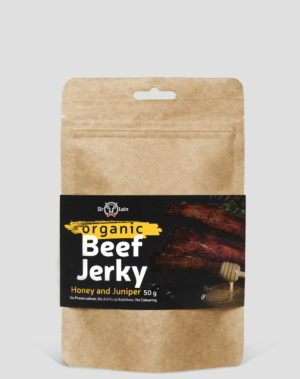 This traditional beef jerky is a classic meat snack with a slightly salty and spicy, natural beef flavour. 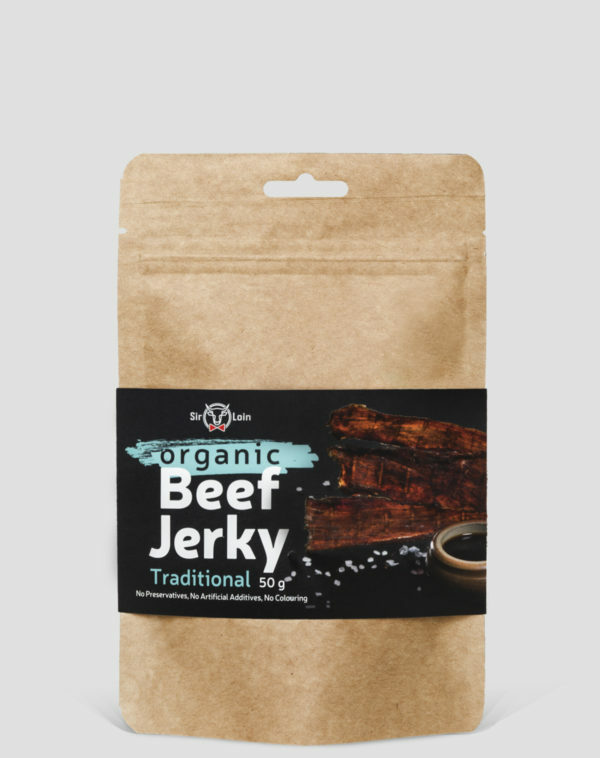 Ingredients: beef* (made with 283g beef per 100g), soy sauce* (water, soybeans*, salt), Worcestershire sauce* (vinegar*, sugar*, grape and blackberry juice concentrates*, spices*, herbs*), salt, spices*, honey*. 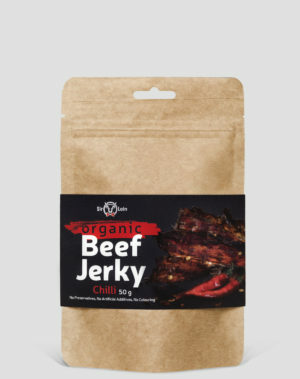 Average values for 100 g of product: energy 1082 kJ/ 256 kcal, fat 3.5 g, of which saturates 1.5 g, carbohydrates 1.0 g, of which sugar 1.0 g, protein 55 g, salt 3.0 g.